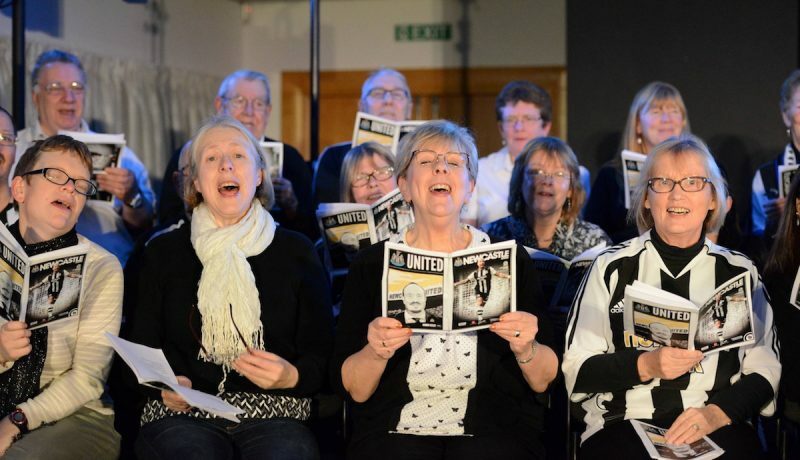 Communities in the West End of Newcastle starred in their own life stories alongside Royal Northern Sinfonia at St James’ Park. ‘We, The Crowd’ explores what music and football mean to people aged from eight to 85 living in Newcastle’s West End. It is the culmination of a project called Sharing the Stage, a unique collaboration between Sage Gateshead and Royal Northern Sinfonia, Newcastle United Foundation and Unfolding Theatre Company. They have been working with Kicks, Excelsior Academy, Hawthorn Primary School, West End Voices and CHAT (Churches Acting Together) Trust to bring together a performance (We, The Crowd) that follows people’s joys, frustrations and dreams for the future. It was staged for the first time in front of an invited audience at St. James’ Park on Wednesday (NOV23). Funded by the Calouste Gulbenkian Foundation, the project is all about people ‘sharing the stage’ with professional performers and looks at how taking part in music and performance can bring people together. All the groups starred as crowds at a football match, singing alongside professional musicians. The actors took the roles of stewards telling the stories of real people they had met and talked to about how music and football impacted on their lives. Wendy Smith, Director of Learning and Participation at Sage Gateshead, said: ‘Working on ‘We, The Crowd’ has been a brilliant experience. It’s helping us to understand more about what is important to local people and what music and football mean to them. “‘We, The Crowd’ has brought together musicians and footballers of all ages to share their skills, frustrations and big dreams to perform side by side with actors and professional musicians.